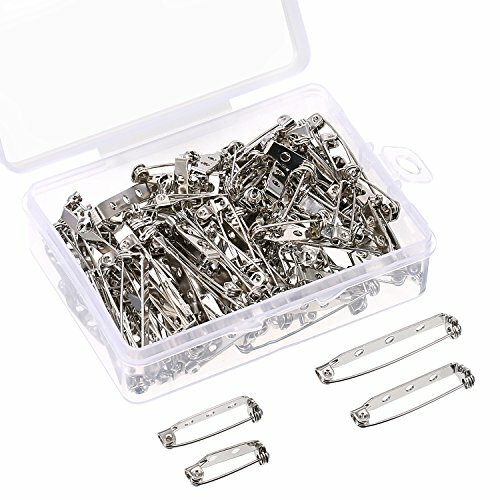 Totally 100 pieces bar pins in 4 sizes, this 4 sizes feature different length with 2 or 3 holes, meet your diverse needs. A useful storage tool for storing these pin backs. With flat back, can be glued onto most surfaces to DIY crafts; Features 2 or 3 holes, easy to operate, good for attaching beads, dangles and various findings to create a personalized accessory. Small items, please keep away from children to avoid choking; Or children use under adult supervision.